Jeannine E. Smith, age 82, of Bellefontaine, Ohio passed away at 4:00 A.M. Wednesday, December 5, 2018 at the Green Hills Inn in West Liberty, Ohio. She was born in Bellefontaine July 18, 1936, to the late Clinton A. and Winifred (Cronley) Diener. On July 28, 1988, Jeannine married Stanley Smith in Bellefontaine, and he preceded her in death December 22, 2013. She was also preceded in death by a daughter, Kimberly Deno; her sister, JoAnn E. Johns and a nephew, Robert K. Hayden. 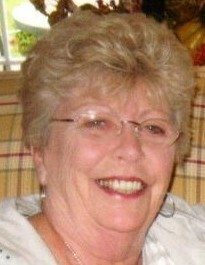 Jeannine is survived by her daughter, Kathleen (Joe) Lambert; a son-in-law, John Deno; two step-sons, Stanley (Denise) Smith Jr. and Patrick (Kelly) Smith; her brother, Thomas (Patricia) Diener; seven grandchildren; two great grandchildren; three nieces, Deborah (Michael) Augustus, Christine (Alfredo) Guilfuchi, and Lori (Jamie) Rowland; four great nieces; one great nephew; three great-great nieces; five great-great nephews and a brother-in-law, Robert L. Johns. Jeannine was the General Manager of the Holiday Inn in Bellefontaine for many years and was an avid fan of The Ohio State Buckeyes. The family will receive friends from 3 to 7 P.M. Monday, December 10, 2018 at the Eichholtz Daring & Sanford Funeral Home and Cremation Center in Bellefontaine. Father Shawn Landenwitch will officiate a Mass of Christian Burial at 11:00 A.M. Tuesday, December 11, 2018 at the St. Patrick Catholic Church in Bellefontaine. Burial will be at the Bellefontaine Cemetery at a later date.